A large dark brown vulture with a naked red head up to 31 inches in length with a wing span up to and 70 inches. A wide variety of habitats, easily habituates to human development. Nearly all of the lower 48 states and sections of southern Canada. Carrion including road kill and washed-up fish, rotten fruit and vegetables, plant matter, insects, other invertebrates, reptiles, bird nestlings…even animal dung. Up to 16 years in the wild and 33 years in zoos. 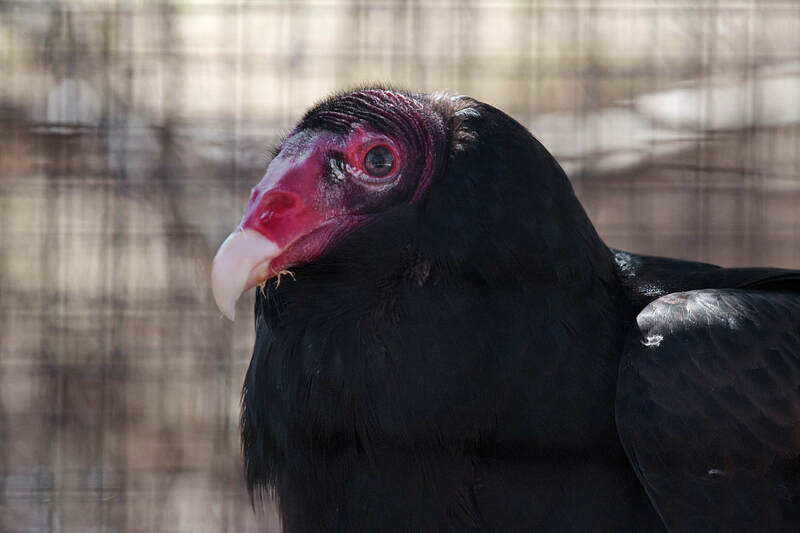 Turkey vultures breed once a year between March and June and lay up to 3 eggs after a a 30-40 day incubation period. The chicks gain their flight feathers within 80 days and are independent by 90 days. Common, protected by the Migratory Bird Treaty Act. ​True or false? Engineers have been known to use a bird’s sense of smell to detect leaks in natural gas pipelines. 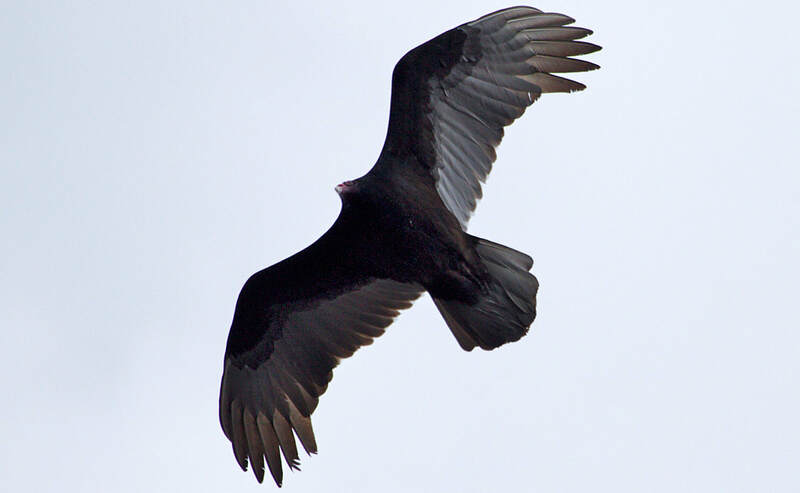 True: Engineers will use Turkey vultures (Cathartes Aura) to detect leaks in natural gas lines with their amazing sense of smell. They pump a gas called ethyl mercaptan into pipelines. This is the gas produced by decaying carrion. Turkey vultures home in on the scent escaping from leaks.